Giveaway: Win Passes to See 'The Butler" in New York City! We haven't seen Lee Daniels' The Butler yet, but we will because it's an important film that recounts America's tumultuous and ultimately triumphant Civil Rights era. If you'd also like to see the film, starring Forest Whitaker and Oprah Winfrey and inspired by the true story of longtime White House domestic worker Eugene Allen, here's your chance to win a pass for two during the film's run-of-engagement in New York City. 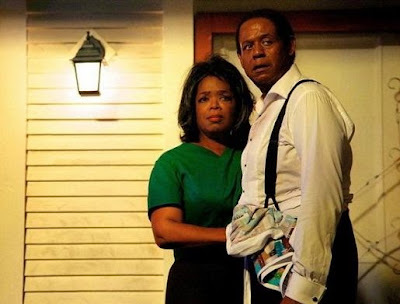 Oprah Winfrey and Forest Whitaker in Lee Daniels' The Butler./Photo courtesy of the film. 2. Leave a comment with your first name and tell me why you'd like to see Lee Daniels' The Butler? The giveaway offer ends Friday, August 23rd at 11:59 p.m.